This column was originally published in November, 2018 by a number of APG of East Central Minnesota newspapers. One of the most important things adults — families and educators — can do is help youngsters match their skills, talents and interests with good jobs. Of course, we want schools to do much more than help youngsters develop skills and knowledge for employment. But this is one of the most important things that schools can do. And this shouldn’t just be the responsibility of educators. Here are seven things to consider. 1. We’ve moving toward the late December (Christmas/Hanukkah/Kwanzaa) break. This is a good time for families to talk with and encourage students, even as young as middle school, to think about possibilities. Many families with high school youngsters tell me they have not heard about this law. Whether your school has or hasn’t invited you to help, this is a good time to discuss student plans. 3. The state of Minnesota has great resources to help youngsters understand future job possibilities. 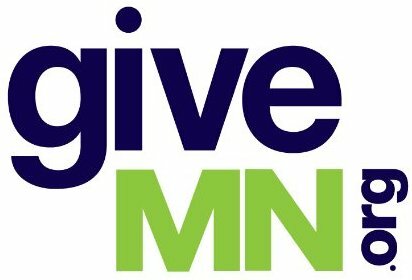 The Minnesota Department of Employment and Economic Development, for example, has a short, very readable blog about high-wage, high-demand jobs (https://bit.ly/2ziQpwX). It says that in the metro area, “Professional, scientific and technical services” is one of the largest industries in the Twin Cities, accounting for nearly 125,000 jobs and 10,472 businesses. This department also has a tool showing “occupations in demand” for every region in the state (https://mn.gov/deed/data/data-tools/oid/). Some of these jobs require a four-year degree. Others are available to those who have a postsecondary certificate or two-year degree. 4. Minnesota Department of Education has posted materials that can help young people match their interests and possible jobs/careers. You can find them here: https://education.mn.gov/MDE/dse/ccs/. 5. Some high schools are developing internship opportunities. These are not necessarily jobs in, for example, fast food restaurants. They are opportunities to explore careers and earn academic credit. Students should check to see if this option is available. 6. Minnesota allows high school students to earn free college credits in applied, technical and academic areas. Students can start dong this in many high schools in ninth grade, and on college campuses or online in the 10th grade. With the right encouragement, nearly every student will take at least one of these courses before graduating from high school. More information: http://readysetgo.state.mn.us/RSG/index.html. 7. Finally, this is a great time for youngsters to call people who have jobs that may interest them and ask for an interview. Most organizations, whether for profit or nonprofit, slow down in late December. While some people go on vacation, others remain. And many business and government leaders have told me they would welcome the chance to talk with students about job prospects. Holidays are a great time to relax and enjoy family. They also can be an excellent time to help youngsters think about their futures. Joe Nathan, formerly a Minnesota public school educator and PTA president directs the Center for School Change. Reactions welcome at Joe@centerforschoolchange.org.